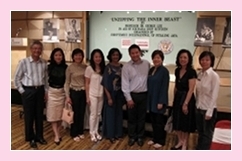 On 5 September, SIPJ organised a fundraising talk and high tea in aid of Kechara Soup Kitchen (KSK) at Concorde Hotel Kuala Lumpur. 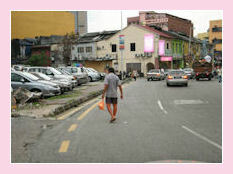 KSK is a community action group which distributes food to the homeless and urban poor. To volunteer for our future SIPJ events, please register with us at info@cocoonyoga.com. 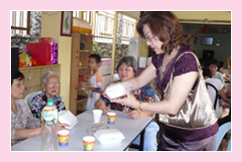 An awesome party was held for the residents of Rumah Charis sponsored by Puan Sri Siew Yong Gnanalingam. There is an appeal from WAO. They are facing closure of their Refuge and Child Care Center if they don't get help. How to contribute? It's simple! Put on our dancing shoes/boots/platforms and party the night away! Yes, the Charity Bachelor Auction is back with a vengeance! With a group of very sporting and brave-hearted (yes, they don't quite know yet what they've signed up for!) young men with hearts of gold, this year's Charity Bachelor Auction promises to be extremely entertaining and more importantly, raise more awareness and funds for Breast Cancer Welfare Association. 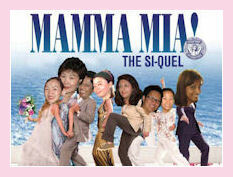 SIPJ's Youth Against Social Ills Workshop 2008. 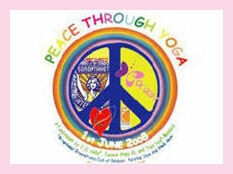 Truly an inspirational event, Peace Through Yoga is happening for the second time ever on 1 June 2008. Celebrating the Soroptimist focus areas of health and international goodwill, Peace Through Yoga brings together three SI clubs. Peace Through Yoga was an event launched by SIPJ last year and this year, we are joining together with our sister clubs, Bangsar and Shah Alam to bring this event to the next level. To volunteer for our future SIPJ yoga events, please register with us at info@cocoonyoga.com. Kechara Soup Kitchen is inspired by His Eminence Tsem Tulku Rinpoche, the Spiritual Advisor to Kechara House. Every Saturday, come rain or shine, a group of volunteers gather in the centre of Kuala Lumpur, Malaysia, to distribute halal food and offer first aid to the homeless. When sponsorship allows, we also distribute umbrellas during the wet seasons. From distributing 20 packs of food when we first started, we are now able to distribute around 130 packs of food each Saturday. 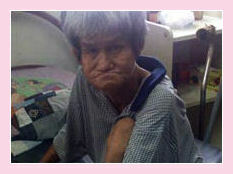 This is due to the generous sponsorship from kind donors, who often join us to distribute to the needy. Our giving to all, regardless of race, gender, religion or culture is the basis of our motto: Hunger Knows No Barriers.